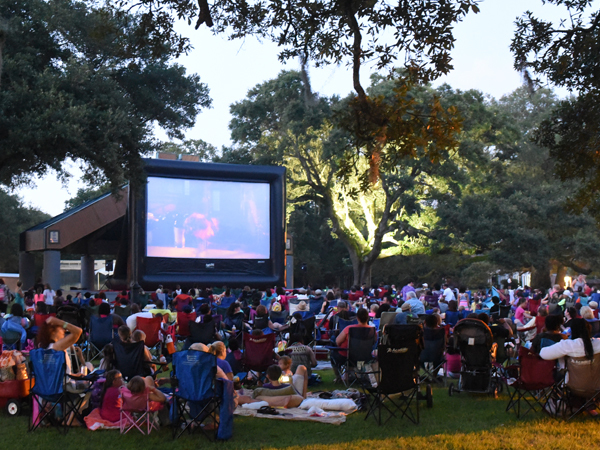 Check out Audubon Zoo this summer on various dates from June through August for the ZOOvie Nights at Audubon Zoo, sponsored by Swedish Fish Tropical Company. Bring your own chairs and get ready to watch a movie outside. You may bring your dinner or eat at the Zoo or from available food trucks. You may purchase your tickets online or at the Zoo after 6 PM on the day of the ZOOvie. The movie starts at 8 PM and tickets for the ZOOvie are $6 (children under 2 are free). In addition, the Cool Zoo/Gator Run is also open from 6-8 PM on ZOOvie nights for an additional $6. The Cool Zoo/Gator Run is a popular fun water park that includes jumping water spouts, a large alligator water slide, water-spitting snakes and more. For additional information and to purchase tickets, see the following link: https://audubonnatureinstitute.org/zoovie.